Two brutal murders. Two young people determined to arrive at the truth. One thriving city, teeming with life, innovation, deceit, and death. Readers far and wide have been entranced by Chris Brookmyre’s utterly absorbing and unique crime novels for many years. Now, in collaboration with medical historian Dr Marisa Haetzman, a dazzling new series has been born. 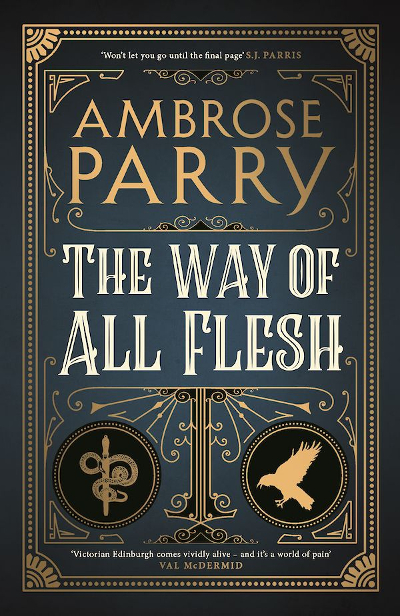 The Way of All Flesh explores one of the most fascinating elements of Edinburgh’s history – its place at the centre of medical enlightenment. Inspired by historical events and the revolutionary advances – both medical and social – of Dr James Young Simpson, Chris and Marisa have crafted a superbly atmospheric chronicle of the people at the forefront of scientific development in our capital city. With themes from poverty and gender roles to scientific discovery and medical ethics, The Way of All Flesh is a tale of murder like no other. We’re enormously excited to welcome them as they draw us into the dazzling yet murky waters of Edinburgh’s past.